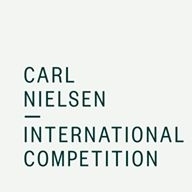 For ten days in March 2019, the Carl Nielsen International Competition – for violin, clarinet and flute – will be held concurrently for the first time in the composer’s hometown of Odense, Denmark. The Odense Symphony Orchestra invites young instrumentalists under the age of 30 in each instrumental category to apply. Applications open on 1 May and close on 15 October 2018. Representing the 2019 competition as Artistic Advisors are three of the world’s leading musicians in their fields – Nikolaj Znaider, Emmanuel Pahud and Martin Fröst – who will actively participate in the selection process. Applications open on 11th July and close on 15 October 2018.